NY: Viking, 1975. Bound in two tone blue cloth, stamped in red. The first edition of the author's first book and the winner of the first PEN/Hemingway Award. Now considered a classic Vietnam novel. 278 pp.. First Edition. Hard Cover. Near Fine/Near Fine. 8vo - over 7¾" - 9¾" tall. London: Chapman & Hall, 1960. Bound in blue boards, stamped in silver. Previous owner's neat name, place and year on ffep. Tight, clean copy of this book on touring Africa by the prolific writer. 167 pp. Photo-illustrated. . First British Edition. Hard Cover. Near Fine/Near Fine. Toronto: Lester and Orpen Dennys, 1980. This book is written by "Cleo Birdwell" which is a pseudonym that DeLillo used for this "tongue in cheek" memoir by the first woman to play professional hockey. Save for a tiny yellow offset spot on the ffep., this book is bright, tight and clean in a great dust jacket (some tiny wear to top spine end. Signed by Mr. DeLillo on a bookplate affixed to the half title page. 390 pp. . Signed by Author. First Canadian Edition. Hard Cover. Near Fine/Very Good ++. NY: Farrar, Straus & Giroux, 1990. Bound in blue cloth, stamped in silver. A book of three plays by the noted author of The Cancer Ward. 365 pp. Tight, clean copy. 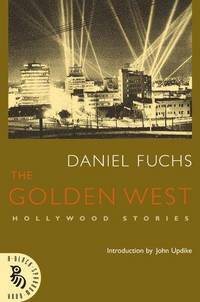 Dust jacket shows a yellow discoloration to the top of the rear panel. . First American Edition. Hard Cover. Near Fine/Very Good +. 8vo - over 7¾" - 9¾" tall. NY: Viking, 1976. Dust jacket shows a little wear to spine ends and a tiny closed tear to top of rear panel. The first edition of this early novel by the Trinidad-born African-American author, Bound in brown cloth and blue boards, stamped in silver. 217 pp. . First Edition. Hard Cover. VG+/VG+. 8vo - over 7¾" - 9¾" tall. London: Bloomsbury, 2008. Bound in gray boards, stamped in gold, with photographic endsheets. The dust jacket is price-clipped. Great copy of this 211 pp. book. Translated from the German by John Brownjohn. . First U.K. Edition. Hard Cover. Near Fine/VG+ (price-clipped). 8vo - over 7¾" - 9¾" tall. New York: Simon & Schuster, 1983. A great copy of this book without the usual spine fade or the ubiquitous remainder mark. A most acceptable copy. 254pp.. First Edition. Hard Cover. Near Fine/Near Fine. Troy Town: Trystero, 1982. The second issue with the black and white montage illustration on front panel. Ref. : Mead C4b. 16 pp. About fine in printed, illustrated wraps. First published in the Kenyon Review in 1960.. Second Edition. Stapled Wraps. Near Fine/No Jacket. London: Aloes, 1976. Bound in white (coarse) illustrated wraps. The first edition, possibly second state of this first book edition of the short story. 24 pp. Without any crosses on front panel. First published in Epoch in 1959.. First Edition. Stapled Wraps. Fine/No Jacket. NY: Viking, 1987. The first U.S. edition of this novel by the author of "Waiting for the Barbarians" and "Disgrace". 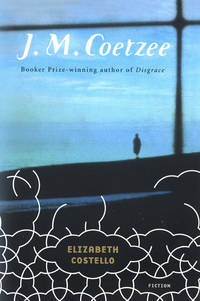 Signed by Mr. Coetzee on a bookplate affixed to the half-title page. 157pp.. Signed by Author. First U.S. Edition. Hard Cover. Near Fine/Near Fine. New York: Viking, 2003. Remainder mark; 233pp. A novel from the Nobel-Prize winning author. Signed by the author on a bookplate attached to the half-title page. . Signed by Author. First American Edition. Hard Cover. Near Fine/Fine. Boston: Little, Brown, 1939. Bound in tan buckram, stamped in red. Top edge is in green. The scarce first U.S. edition of this travel book by Mr. Waugh. The book is tight and clean and shows just a hint of darkening to spine. 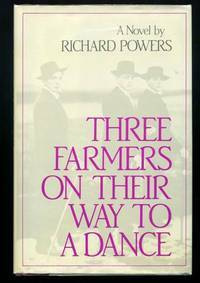 338 pp. . First American Edition. Hard Cover. Very Good +/No Jacket. 8vo. London: Faber & Faber, Incorporated, 1995. Tight, clean copy of the first edition of this book of short stories by the two-time Booker Prize winning author. Signed on a bookplate affixed to the title page. 353 pp. . Signed by Author. First Edition. Hard Cover. Near Fine/Near Fine. New York: William Morrow & Co., 1985. Overall, a bright, clean, unread copy of the first edition of the author's scarce first book. The book was inspired by a photo from August Sander (that is depicted on the front panel of the book as well as on the obverse of the half-title page). Signed by Mr. Powers on a bookplate affixed to the half-title page. The true first edition of the author's first book. 352 pp. . Signed by Author. First Edition. Hard Cover. Near Fine/Near Fine. Boston: Black Sparrow Books, 2005. Stories and essays; introduction by John Updike; 256pp. By the noted author of "Summer in Williamsburg". . First Edition. Hard Cover. Near Fine/Near Fine. NY: World Publishing, 1969. The book is bound in yellow cloth and green boards, stamped in green. Dust jacket show a light bit of toning to extremes. Overall, a tight, clean copy of this early first edition by Michael Crichton using the John Lange pseudonym. Signed by Mr. Crichton on a bookplate affixed to the half-title page. 310 pp. . Signed by Author. First Edition. Hard Cover. VG++/VG++. Boston: Houghton Mifflin, 1953. Endpapers professionally restored and book tightened. Overall, a tight, clean copy of this, the first edition of the African American author's second book. Her first book, the Street, won the Houghton Mifflin Award in the year of publication. . First Edition. Hard Cover. Near Fine/VG++. NY: Knopf, 1986. The first U.S. edition of this, the author's first book. Rush went on to win the National Book Award for his novel, "Mating".. First U.S. Edition. Hard Cover. Fine/Fine. NY: New Directions, 1950. Dustwrapper shows light chipping, but is overall bright and "rosy". 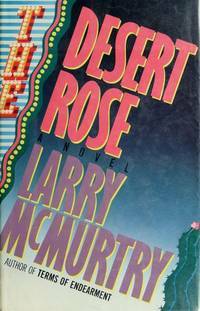 The true first edition (stated) in the rose colored binding. Endpapers professionally restored. A most acceptable copy of a scarce Tennessee Williams first edition. Basis for the 1955 Daniel Mann movie that starred Burt Lancaster and Anna Magnani.. First Edition. Hard Cover. Near Fine/VG++. NY: Knopf, 1998. Signed on special Knopf bookplate affixed to the title page. Beautiful copy of the first edition of this notable novel by the Nobel/Pulitzer Prize winning author.. Signed by Author. First Edition. Hard Cover. Fine/Fine.